Decorating your wedding venue can be one of the more enjoyable and less stressful parts of planning your wedding, as by this point most of the difficult jobs will be done, such as choosing the venue, caterer, photographer and florist. This will also give you an opportunity to personalise your wedding, as there is a huge range of decorations available. 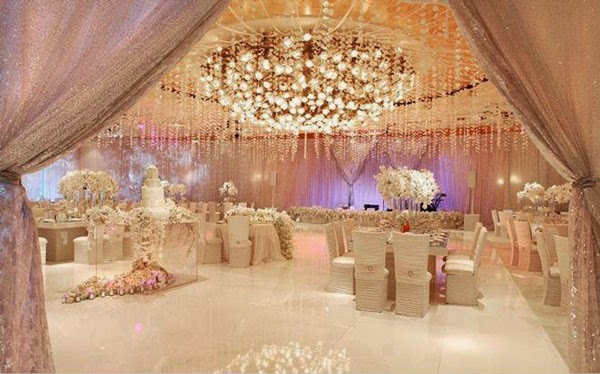 When you are choosing decorations think about any themes or colour schemes you might have for the wedding. For example if you are planning a white wedding, then you will probably be looking for more traditional decorations, such as ribbons, balloons and flowers. Most white colour schemes look best when paired with another colour, such as a soft pink or yellow, but you could also make a bolder statement by choosing a sumptuous deep red or purple. Incorporate your chosen colours into the decorations, from the table linens through to the party favors. 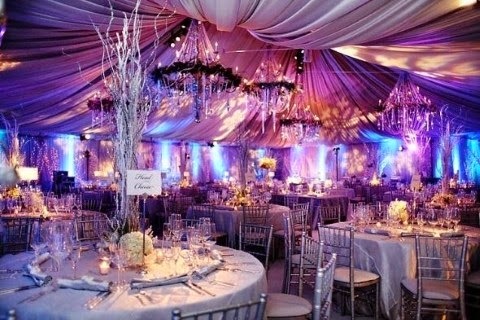 Also you may have decided on a particular theme for your wedding, such as a garden party. You could incorporate this theme into your marquee or function room, by bringing the garden inside with you and covering the room in flowers. If you are on a budget, instead of using fresh flowers you could use fabrics with floral patterns, or paper and silk flowers. 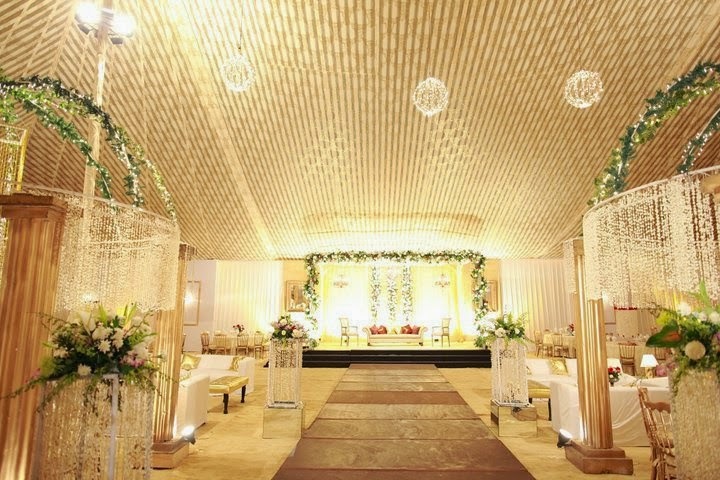 You can buy wedding decorations from wedding supply shops, and also specialised online stores. The Internet is an excellent place for sourcing any unusual decorations you need, and there are lots of companies who hire out specialist decorations, such as antique and vintage crockery, cutlery and table linen sets if you are planning a themed wedding from a particular era. 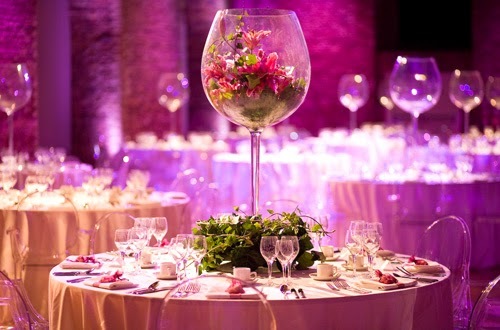 When you are choosing wedding decorations make sure you set a budget and stick to it, as there are so many beautiful and unusual decorations available it can be easy to get carried away.